Grout provides important protection for tile, while also creating a finished look. Without it, the tile would be smacked together in an awkward design, and it would be vulnerable to water penetration and damage. A lot of homeowners are turning to DIY solutions to save money. However, most homeowners do not have the skill or training to do these jobs properly, so they actually put their home at risk by doing the work themselves and they cost themselves more money in the long run. This is especially true with tile work. Improper grout application can lead to all kinds of problems, including allowing the water to get trapped under the grout and tile. Improperly applied grout is more likely to flake off quickly, shortening the life of your tile. Some homeowners think they can just follow the directions on the grout to properly apply it. But there are many variables that only experience and proper training can account for, such as damage to the floor, proper adhesive for the tile and other materials, temperature changes, and more. An expert will make the appropriate changes to account for these variables, but a homeowner likely will not. Water and dirt settle into the lines between your tile, and that can cause stains to set in. The problem is worse in a shower, where mold, mildew, and bacteria can make stains appear faster. Cleaning your tile and grout in Mesa regularly can help prevent stains from appearing, but it can’t always get them out once they’ve set in. Sometimes, professional bathroom grout cleaning can lift out the stains. But often, you will need to work with an expert to either restore the grout or to redo it entirely. Taking the appropriate preventative steps can save you a lot of money and keep your bathroom looking great. Clean your tile and grout regularly, keep the surfaces free of moisture, and keep the grout sealed. Great, all you need to do is keep your tile clean, so you’re going to scrub the heck out of it until it shines. Great idea, right? No. Aggressive scrubbing and harsh chemicals can actually break down the grout and cause it to crack or flake, which will let more dirt and water into the tile, causing more extensive staining and damage. You must use cleaners that are designed for the tile and grout you have. If you are uncertain of the materials, you can use a general tile cleaner or another mild cleaner. Keeping the tile dry by wiping up spills and turning on the fan after your shower will go a long way to keeping the tile and grout clean also. When your grout has crumbled or is stained terribly, you might consider re-grouting to freshen up your tile and give those surfaces new life. However, just getting your tile re-grouted isn’t as easy as it might sound. You have to strip out all the old grout, which is a labor-intensive process. Of course, you can – and should – hire a professional to re-grout your tile, but the process is still time-consuming and can cost a lot of money. The rewards are well worth it, but it’s important that you understand what to expect. Tile is a wonderful choice for flooring and bathroom surfaces like a tub or shower surround, countertops, or a backsplash. 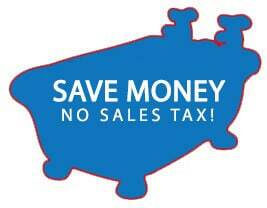 Many Arizona residents choose tile when they invest in bathroom remodeling or bathroom restoration. However, it is important that you know what you need to do take care of your tile and grout for long-term health and beauty, including regular bathroom tile and grout cleaning in Mesa. 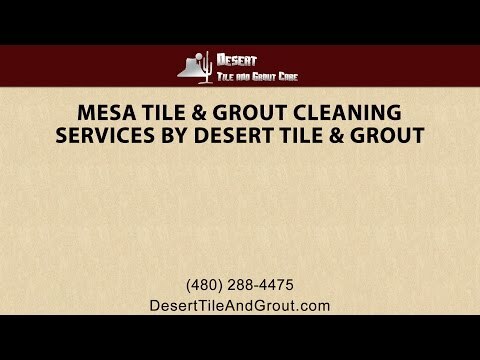 Desert Tile and Grout Care offers professional bathroom tile and grout cleaning, whether you need your floors refreshed or you need more extensive shower tile and grout cleaning. Our professionals get the results you need. Our services will restore the color to dulled tile, revive grimy grout, and make your bathroom look beautiful and welcoming again. Call us today to learn more about bathroom grout cleaning or to get an estimate in Arizona.